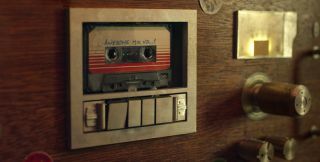 Disney to release Guardians of the Galaxy soundtrack on cassette | What Hi-Fi? The cassette tape might not be dead and buried just yet, with reports from the US claiming that Disney Music Group is about to release its first cassette tape since 2003. According to Billboard, the Guardians of the Galaxy: Awesome Mix Vol.1 soundtrack is going to be released on cassette on 17th November – having already been released on CD, digital download and vinyl LP. The limited edition tape will be made available through Marvel Music/Hollywood Records – part of Disney Music Group – and exclusive to the community of independent retailers linked with Record Store Day. However, Billboard says that Disney has yet to reveal just how many of these limited edition tapes will be released. But the soundtrack has proved a hit with US music fans, having topped the charts for two weeks. As we revealed in our review of Guardians of the Galaxy, music has a much greater role to play in the film – compared with other Marvel releases. And the soundtrack is quite something, punctuated with 1970s hits.